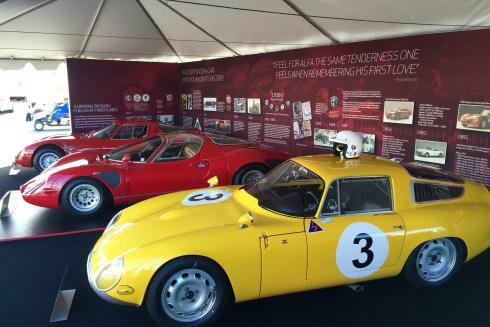 Centigrade had the pleasure to assist Alfa Romeo for the first time during the Pebble Beach Concours d’Elegance. Events included the exclusive McCall’s Motorworks Revival, Rolex Monterey Motorsports Reunion at Laguna Seca, Concorso Italiano, and a favourite among collectors’ and automotive enthusiast’s alike: the forward-looking concept lawn at Pebble Beach. 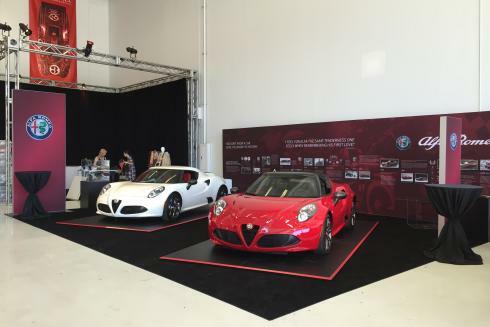 Centigrade helped Alfa Romeo showcase the brand through a strategic presence at targeted events, interactive displays and a special VIP reception for Alfa Romeo owners. The center of attention was placed on targeting Alfa Romeo owners and prospects, as well as communicating the three brand pillars: technology, performance and style. Throughout the different events, Alfa Romeo had a variety of models on display. Starting with the new and contemporary 4C and 4C Spider and continuing with historical models such as TZ1, TZ2 and 33 Stradale. 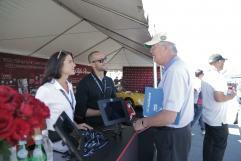 The brand and vehicles were very well received amongst the event attendees. Centigrade and its partners captured over 1,400+ leads during this unbelievable week.